xD card or the xD picture card is a storage device that has been obsolete. It is used in the older cams that were developed by Fuji and Olympus. But with the passage of time and in the wake of advancement in science and technology, the card and the storage devices that are developed later totally replace the xD card. It is to be noted that no new cams use this technology and it has been not developed or revamped ever since. However it is also to be noted that the people still use the xD cards to capture data and that the users who have old cams of Samsung, Toshiba, Fuji and Kodak still use this tech piece to make sure that the storage space is enjoyed. It is also to be noted that the people also find it difficult to retrieve the data if the xD card gets corrupted. 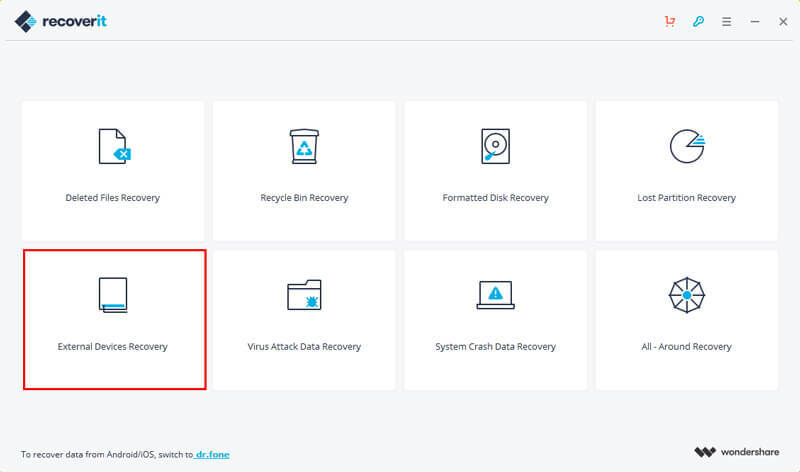 This tutorial has therefore been developed to make sure that the best is provided to the user in terms of recovery software so that the user can get the best and the most advanced technology of this modern era that could be implemented to make sure that the data retrieval is not an issue at all. 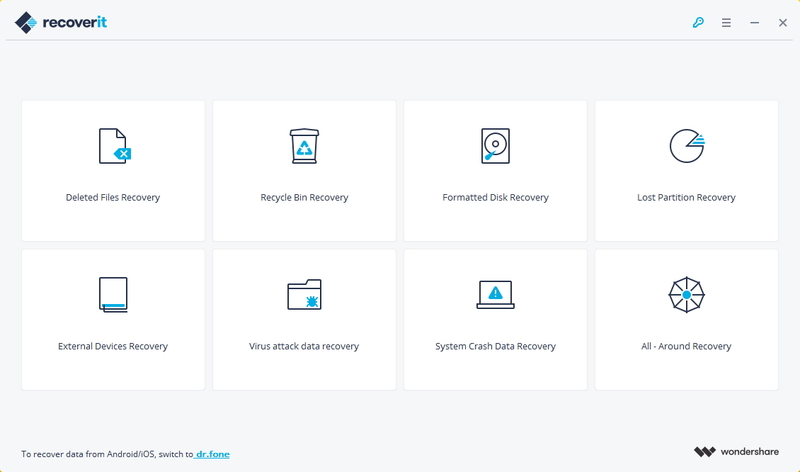 Recoverit is the best and the most intuitive software that has been Over 550+ formats are supported by the Recoverit data recovery software and it is more than any other program that is currently being operated. 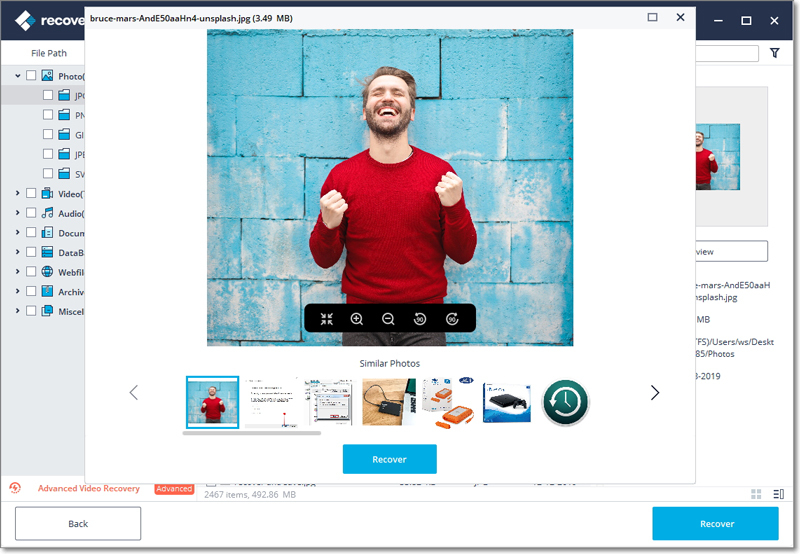 From accidental deletion to improper handling of the xD card, Recoverit makes sure that the user gets the files recovered in minimum possible time and for the same reason it is also to be noted that the user has always rated the service higher than the competitors. On the other hand, the developers of the program make sure that the user gets the lifetime security upgrades free of charge and the user in this regard has just to pay one time to get the program running. Step 1:	Select the scenario. To recover lost files from xD card, you can select "External Devices Recovery" to start. Step 2:	Select your xD card on the list of "External removable device" section, and click on "Start" to go on. Step 3: It will start a quick scan. 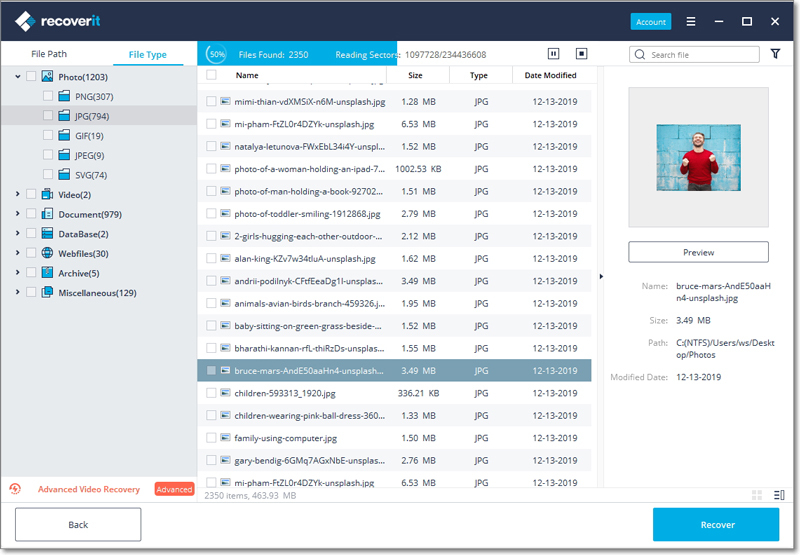 If you can't find lost files after the quick scan, please opt for "All-around Recovery" to deeply search more files. Step 4:	The scanned files are then to be previewed. The user needs to select the wanted ones and press the "Recover" button to get them back. The xD card is corrupted and the files are locked inside. The mishandling of the card causes the corruption and the files are not recoverable now. Like new technologies the card has either been exposed to heat or the sunlight and for the same reason the issue occurrs in this regard. xD card filled with pictures is used to either add more pictures or the data is added and deleted. xD card is used to transfer the files to the computer and during or immediately after the transfer the card is instantly removed from the card slot causing the data to get corrupted once the card is used again. The xD card’s lifespan has been completed and it is still being used to make sure that the data is added and replaced onto the card. The program is one of the best and it makes sure that the lost files are retrieved within no time and the user’s demands are also met in this regard. If the user is not able to retrieve the files then the only reason is that the program has been installed on the same drive where the data retrieval was required and for the same reason the lost files have been overwritten which unfortunately is a mistake and there is no way to make sure that the files are retrieved. It is designed to negate the usage of flash transition layer and hence it promotes the usage of the block device structure similar to the ones that are used in magnetic disk. The xD cards are designed in a way to make sure that the NAND flash hardware is directly accessed allowing the user to play with the Boolean algebra. The xD card readers can be modified to make sure that the NAND arbitrary chips are read. The xD card is not supported widely and for the same reason it is to be noted that the user of this card cannot enjoy the software support as rivals such as SD card do.